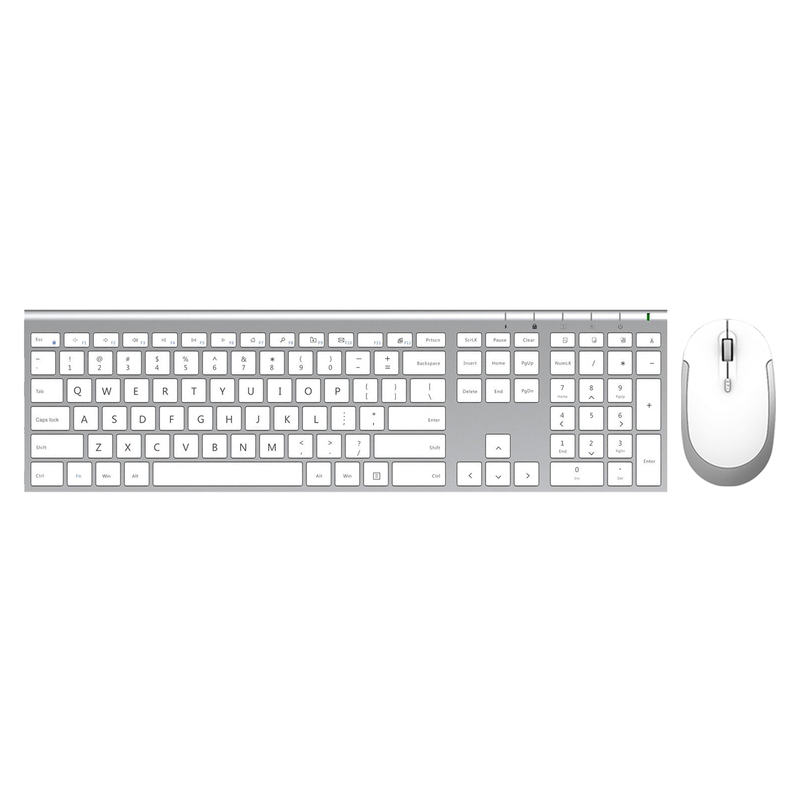 The ultra-slim Jelly Comb Wireless Keyboard and Mouse Combo is perfect for home and workspace. 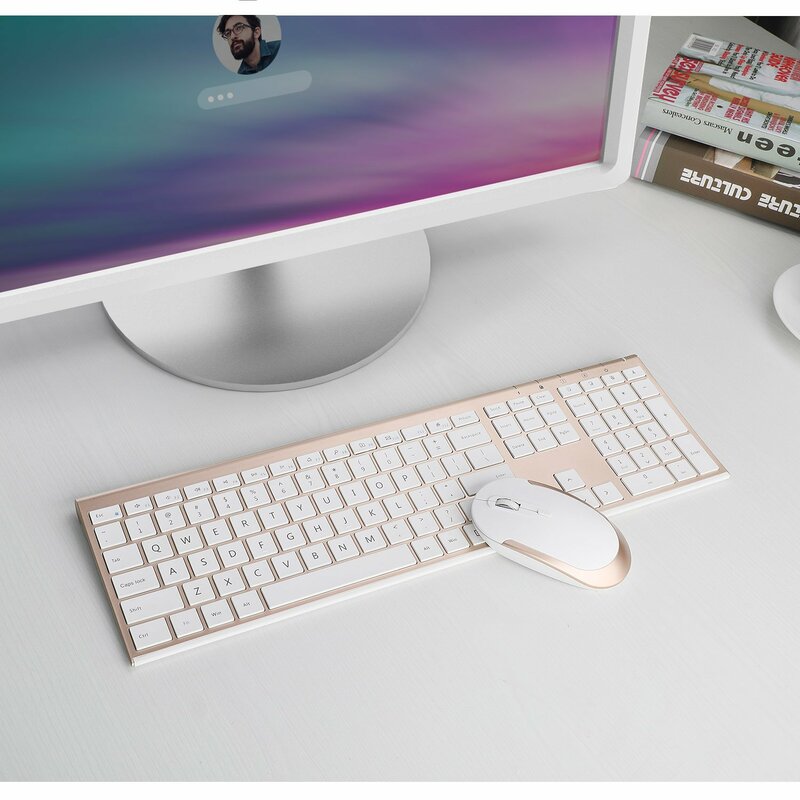 You can easily connect the keyboard and mouse combo to your computer or laptop with the Plyg & Play feature, the one nano receiver will connect the keyboard and mouse both. No driver or extra software are needed, just plug and play. 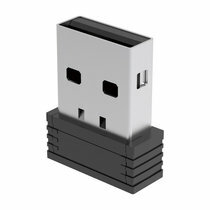 The USB receiver is inserted in the battery compartment of the mouse. This keyboard is not fully compatible with Mac OS. 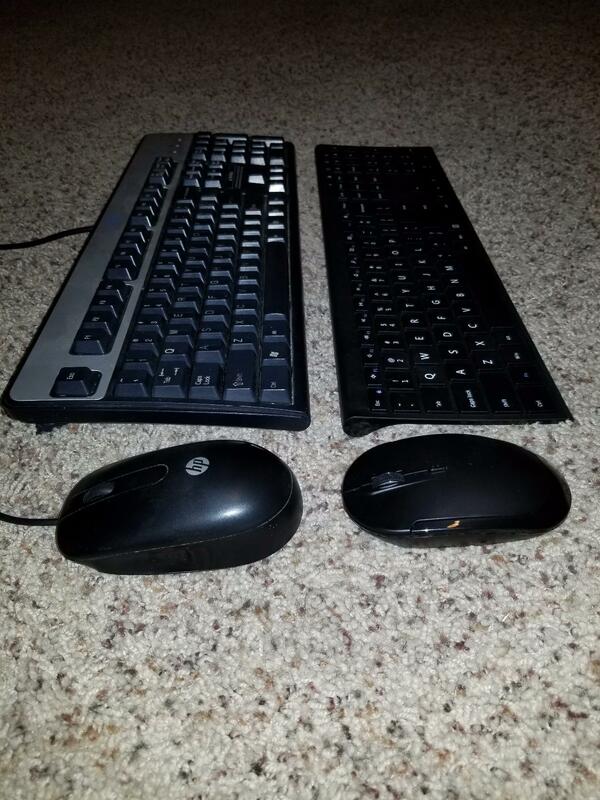 Wanted a low profile keyboard and mouse for my work desk. This keyboard is amazing! Have had it a few months now and haven't charged the keyboard a second time yet. I like that both hibernate/sleep when not used for several minutes. Saves charging time and battery usage!! 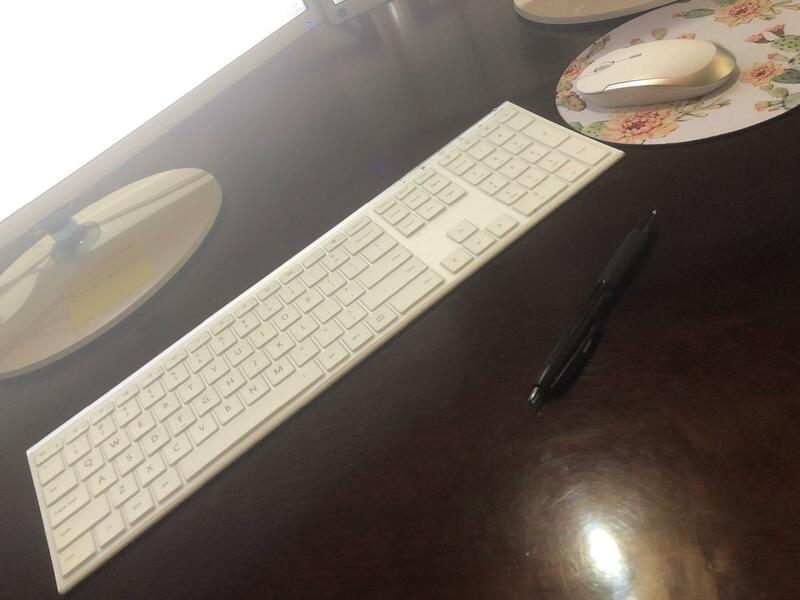 I don't have long fingernails but I don't like the clickity-clack some people get with long nails so I use the silicone keyboard cover and LOVE it! Oh, and tech support came to install some software an fell in love with my keyboard. He bought himself one! I love this keyboard. It's thin, holds a charge well, and is very responsive. The keys are full-sized and well-spaced, and quiet. One minor gripe: I'm a developer, so I use the function keys a LOT, but this keyboard defaults to multimedia functions -- something I NEVER use. It does have a function key lock, which helps, but I have to remember to lock it every time I turn the keyboard on. If only it would remember my function key preference, I would be 100% happy. As it is, I'll give it 4.6 stars, which, rounded up, is a 5. Hey, Jelly -- please realize some of us use keyboards for work, not play! Great keyboard. nice build, reliable and light weight. Does as described. like the compact size. Love how quiet this is! Both the keyboard and mouse are quiet, but the mouse is super-quiet. The only negative I have is that the keyboard (& mouse) automatically goes to sleep after a short period & I start typing before I realize it & have to re-type the first couple of letters - other than that,I think it's almost perfect! The keyboard feels more like that of a laptop to me & therefore I'm used to it. The mouse is low profile and comfortable. Definitely worth the money!!! I would buy again if needed! Surprisingly good quality. This is much better than previous logitech keyboards we had been using. It's more expensive sure, but not by much, especially when you consider how expensive keyboards can be. The mouse is pretty average, and a little light and short, but it's functional and works well enough. I have no complaints. I thought the curve on this compared to the Apple keyboard would be annoying, but it's not. It also comes with a thin clear rubber overlay which is kind of nice since some people like to leave those on to keep it clean. This keyboard and mouse are fantastic. As pictured, fast shipping and it’s held it charge for over a week without me having to plug it in which is saying a lot since I leave it on for 9-12 hours a day! Had this for about 4 months now. Super quiet if you use the enclosed rubber cover but still pretty quiet w/out it. Only had to charge the keyboard maybe twice in the 4 months I've had it. Haven't had to change the batteries on the mouse yet. I use them about 5 days a week for 10-12 hours a day. The Keys are INCREDIBLY sensitive. For me this ends up being a bad thing because I am a 131 WPM typer. I need my keys to depress once and only once. I very commonly get repeating keys when typing with this because of the sensitivity. I normally love chicklet style keyboards because they usually have some resistance behind the keys. But this thing can depress if you breathe on it too hard. That's not a joke, I literally blew a gust of air (with my mouth) on the keyboard just to test, and it literally pressed three keys. That's WAAAY too sensitive for me. There are some users who will prefer this, but some who will absolutely despise it, like I do. I'm not going to give it a low review because I honestly believe that it's doing what it was made to do, but what it was made to do is just not what I personally wanted. I love this keyboard! I bought it for my office, and could not be happier.. the design is sleek and I love that it has a number pad. 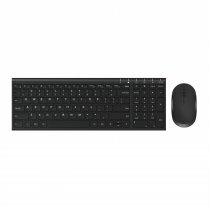 The keyboard lasts for days without charging (as long as you turn it off when not in use), and the mouse has the smoothest click. I am so beyond happy with this purchase. 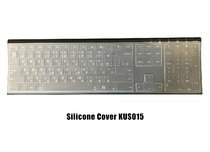 It is a great replacement for an old, wire keyboard, at a great price. I received the keyboard and mouse yesterday, I really like the keyboard. It is better than I expected. Very happy with this mouse and keyboard set. The mouse is quite a bit smaller than my previous and it took some time to get used to it. The keyboard is very responsive and I find my typing speed has increased. Both mouse and keyboard automatically go into a hibernate mode when not used, which saves battery power. Including a photo to show size comparison with my old wired set. The first product I received had a defective mouse, it was hard to pair and would go to sleep while I was using it. However, Jelly Comb was very responsive. Grace on the Customer Service Team first gave me several procedures to try, then suggested a different mouse. I asked for a total replacement and it came a few days later, and worked Perfectly! They even threw in a keyboard protector! 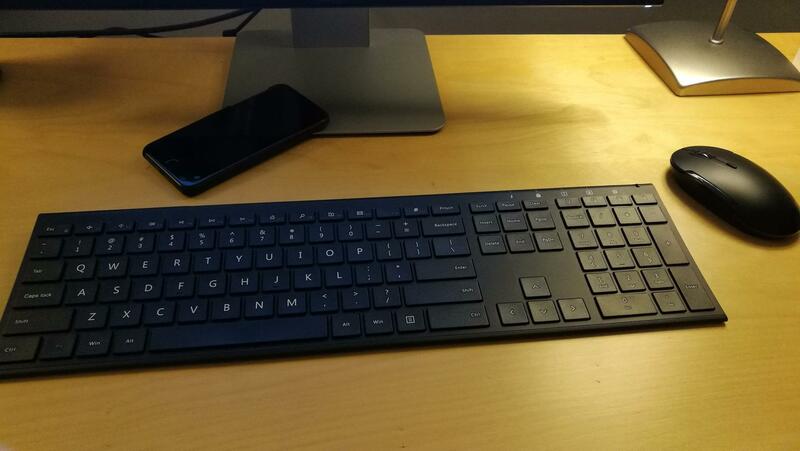 I love the product, the keyboard feels like a laptop keyboard, but is full size with all the keys + extra functions. The mouse is low profile and very responsive. Now when I use a taller mouse on my other system it feels too big. And both keyboard and mouse are Very Quiet, which I love. I would definitely buy this product again. Easy to deploy and very slick but it is very thin. If you like thin keyboards, this one is for you. As for using, the keyboard is USB and the mouse is wireless. Keyboard plugs into a USB port, pair with the mouse (which requires batteries) and you are good to go. Best keyboard I have ever used. Logitech, Insignia, Microsoft keyboards all not as good as this. I also use an apple wireless keyboard at work and this also puts that to shame. Perfect tactile feedback without missed keystrokes. My Logitech would regularly miss keystrokes. The mouse is also amazing. Originally when looking at the photos I figured I would not use the mouse as it didn't look ergonomic (almost like the apple magic mouse 2). In reality, it actually feels good and it's whisper quiet when clicking. I just can't get over how there is no sound when you click, but you do FEEL a very good and satisfyingly cushioned click. Hard to explain but it's great. Very slim and chic. They basically copied the first gen apple keyboard (which is a good thing). I had never heard of this brand... I searched amazon for logitech keyboard and this was the first suggestion from Amazon. At first I was annoyed at why a non-logitech keyboard showed up in search results but I am very happy it did. Thanks Amazon for not letting logitech crowd the market with their products and letting this absolute gem come through. Lights to indicate number lock, caps lock, power, low charge and function lock. Wow - it's so nice to have a keyboard again. I suffered along with an old wireless keyboard and mouse combo that was great for years but in the end had to go. This was the simplest installation ever. I was getting ready to install so put batteries in the mouse and turned on the keyboard (after brief search – it’s located by the charging port) then plugged the USB receiver into an available port on my laptop. I opened the instructions and settled down with a cup of coffee to endure a lengthy afternoon of figuring out how to get this to work, however and much to my surprise, I accidentally grabbed the new mouse instead of the old one and presto change-o! It was working! This message was written as a test of the keyboard. I especially like the protective cover - it fits perfectly on the keyboard and easy to type over. 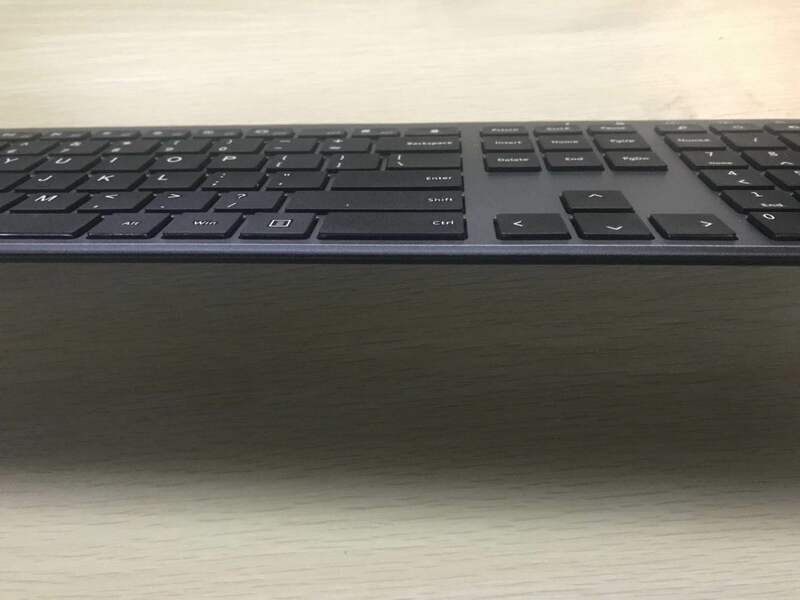 I will use this keyboard in my home office, so the slim profile is perfect. Thank you so much for getting it right. I’ll enjoy this cup of coffee even more now! PS Thanks Amazon for PRIME delivery – arrived as promised. Keep up the great work! © 2019 Jelly Comb. All Rights Reserved.